Office moving requires expert planning, precise packing, and careful delivery—to name a few. A poorly managed office move can result in damaged equipment and furniture, an abundance of down time, and unhappy customers. For Milford office movers who can handle any moving requirement a business has, regardless of size and complexity, go with Liberty Movers. 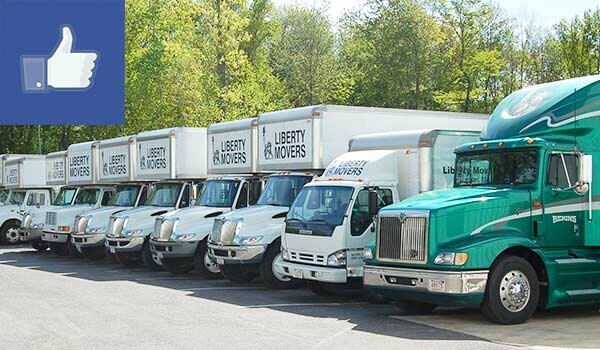 Liberty Movers is one of the most experienced and respected office movers in Central Massachusetts. Since 1920, we have managed moves of all sizes and distances while working hard to provide the safest, most cost-effective relocation possible. When looking for business movers in Milford, it’s important to find the right professionals for your individual needs. At Liberty Movers, we understand that no two moves are exactly alike, which is why we offer comprehensive services to scale any challenges you might face. To get started, we provide an in-depth consultation and up-front pricing. From there, a Move Coordinator will walk you through the entire moving process while ensuring each detail is handled to your complete satisfaction. Your office move is in the best hands possible when you choose our Milford commercial movers. To learn more about how we can assist you, give us a call today to speak with a knowledgeable and friendly service representative. You may also use our online form at your convenience to request a free, no-obligation cost estimate.